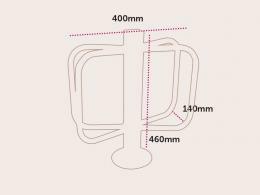 What is the purpose of the cycle holder? 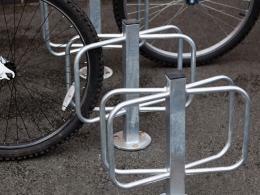 The purpose of the double ground fixing cycle holder is to provide ample bike-locking storage in a small footprint. 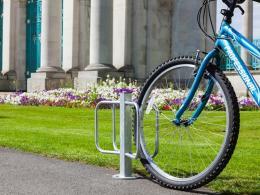 The unique butterfly model of this bike rack allows two bikes to lock by their back tires while the fully galvanised and weatherproofed exterior make this a sturdy all-weather companion that is perfect for use outside of a home or business. 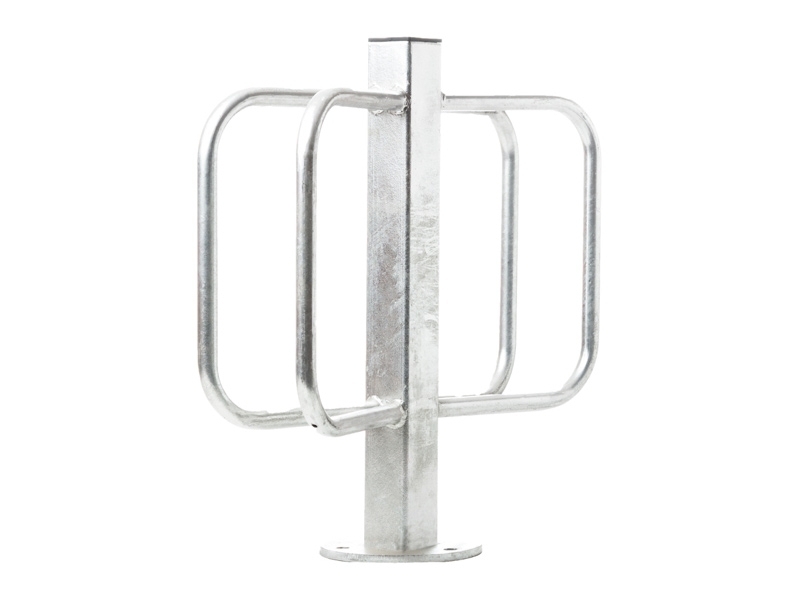 The double ground fixing cycle holder is perfect for use where people store many bicycles but space is limited, such as libraries, shops, cafes, and apartment buildings. This bike storage system has an intuitive design and no metal to metal contact layout keep bikes safe from damage while the easy surface mounted design make this cycle holder easy to install. Plus, since this cycle rack is designed to cradle a bike’s tire, it helps cycles stay upright and helps business or landowners avoid the ugly mess of toppled over and tangled bicycles. This type of bike stand will be installed by people who own businesses and apartment buildings and will be used by the community at large. 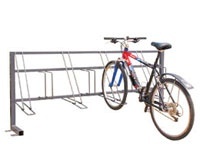 Different from traditional cycle holders and bike racks due to its small and low-profile shape, this cycle rack is ideal for places that lack space but need ample, organised storage. 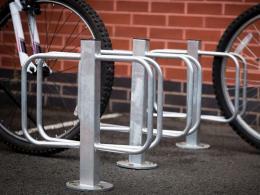 This cycle holder is post mounted, so it can be surface mounted on concrete outside of a building. It requires M10 fixing bolts to secure it to the ground and, when ordered, can be delivered the next day for free. Additionally, when you order this cycle holder, it comes with a full 1-year warranty on all labour and parts and can be easily returned or exchanged if you don’t love it. 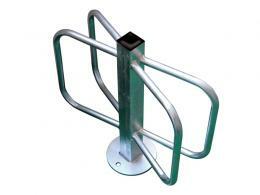 The Bike Racks, Shelters and Storage category of our website features both outdoor and indoor bike rack options.